Microsoft Corporation and Apple finally ended their long time fierce competition in the operating system market by coming to an agreement that is a win-win for them. 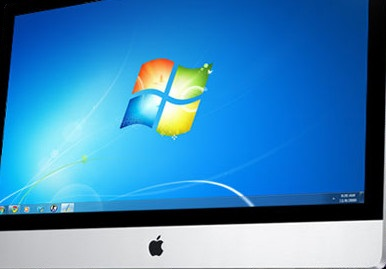 You read it right, everyone can now run Windows 10 on a MAC! Apple and Microsoft Corporation signed an agreement called "Contract Beblebox"; a 14 pages legal stuff that will allow Windows 10 to be installed and run on any MAC computers - NATIVELY. If you are a MAC fanatic and would like to try what Windows 10 can do, you may want to follow the guide on how to get the Windows 10 kit from Microsoft Corporation. This kit should allow you to install and run Windows 10 natively on MAC computers. Excited On Running Windows 10 On Your MAC? You will first need to have the Contract Beblebox kit as this will allow you to run Windows 10 natively on any MAC computers, but do not worry - this kit is absolutely free for a limited time. To get one, just call Microsoft Corporation 1800-1-441-0158 or Apple 1-800-692-7753 within April 1st. Just tell the customer service representative that you need that Contract Beblebox kit. They will ship these kits on your doorstep for free. Once you have these conversion kits and whatnot, it should come with a nice USB thumb drive - which will also have the Windows 10 installation module in it. Plug the thumb drive in any USB port available on your MAC computer and that's it! You just have to let the installation module do its thing. A Stupid April Fool Article You'd Like To See.